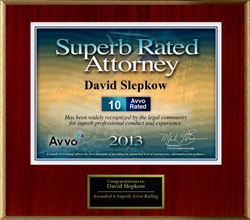 Rhode Island personal injury attorney, David slepkow provides this detailed analysis of the personal injury claims process in Rhode island. This article addresses RI injury law, case screening as well as pertinent issues that RI injury lawyers deal with on a day to day basis. 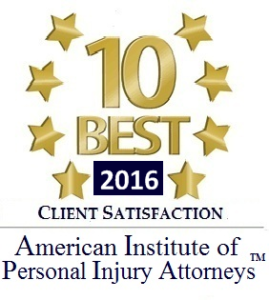 If you want to get a top dollar settlement for your motor vehicle injury claims, contact one of the best personal injury attorneys in RI. Case screening is perhaps one of the most important functions of a top Rhode Island personal injury attorney. 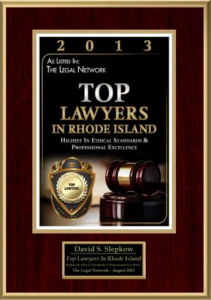 The best personal injury lawyers in Rhode Island will be diligent in their initial client interviews. Some car accident attorneys will have the injured victim fill out a questionnaire. Other East Providence injury attorneys will simply ask all pertinent questions to their prospective injury client. The tort law attorney will seek to get as much information concerning the liability claim as possible. The Rhode Island personal injury attorney will request the names and addresses of all eyewitnesses to the accident or crash. The RI lawyer will also want the names and addresses of all doctors, medical providers, surgeons, psychiatrists, chiropractors and physicians. The RI construction accident attorney or pedestrian accident lawyer will seek a very detailed description of the accident as well as the pain and suffering of the victim and medical treatment. It is crucial that all injured victim’s select an auto crash lawyer in RI or MA who can properly fund the auto litigation, truck crash claim or slip and fall/ premises liability cause of action. Be careful retaining a new RI lawyer a few days out of law school! Although these Providence injury attorneys have the same law degree as a seasoned, experience negligence solicitor, they often are too green to navigate the complex world of negligence litigation in Rhode Island and Providence Plantations. This is not even accounting for the lack of resources to take the insurance company to the proverbial mat. A personal injury case could cost thousand of dollars and perhaps tens of thousand of dollar to litigate successfully. 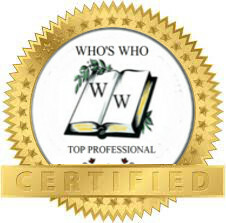 You certainly do not want a new lawyer deciding to pay his electric and car payment over taking an essential deposition of key fact witness or an expert witness such as an accident re-constructionist. Many clients underestimate the importance of insurance coverage research and investigation. The injury lawyer in RI must investigate all applicable insurance coverage which may provide compensation for the injured victim as a result of the automobile, truck, bicycle or motorcycle collision. In some cases, coverage could be arguable depending on the interpretation of the insurance policy. There could be many coverage issues that the negligence lawyer must litigate in Providence Superior Court. When there is an uninsured motorist or a hit and run scofflaw, the RI injury lawyer / Rhode Island personal injury attorney must investigate applicable uninsured motorist coverage. Many motorists, in this day and age, only have the state mandated minimums. If the injured victim has medical bills, lost wages, pain and suffering and other damages in excess of the policy limits of the tortfeasor than the Providence personal injury attorneys must consider the possibility of an uninsured motorist claim. A RI personal injury attorney who is also a Providence uninsured / under-insured motorist claims lawyer will help the victim pursue compensation against their own insurance carrier. “Stacking” in Rhode Island and Providence Plantations means that a seriously injured car, premises or other vehicular accident injury victim can receive compensation from a combination of applicable insurance policies. 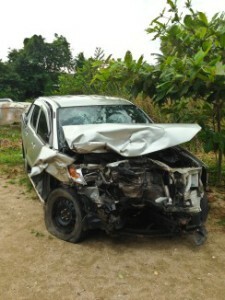 In other words, if a negligent motor vehicle operator with 50k policy liability limit rear ends a pickup truck motorist and the pickup truck driver has 50k in medical bills as well as lost wages, traumatic brain injury and pain and suffering then the injured motorist can collect the $25,000 policy from the tortfeasor in addition to his own $100,000 under-insured motorist policy for a total of $125,000. Stacking could also mean a person who owns multiple vehicle or is an insured on multiple vehicles adding together all applicable UM and UIM policies as the maximum recovery available.